This wasn’t my first thought for a game. I was expecting to spend this weekend somewhere else. But I made the best that Kansas City had to offer and take up a high school game in the eastern suburbs. The Wildcats of Blue Springs High School hosted the Panthers of Raymore-Peculiar High School of Peculiar, Missouri. 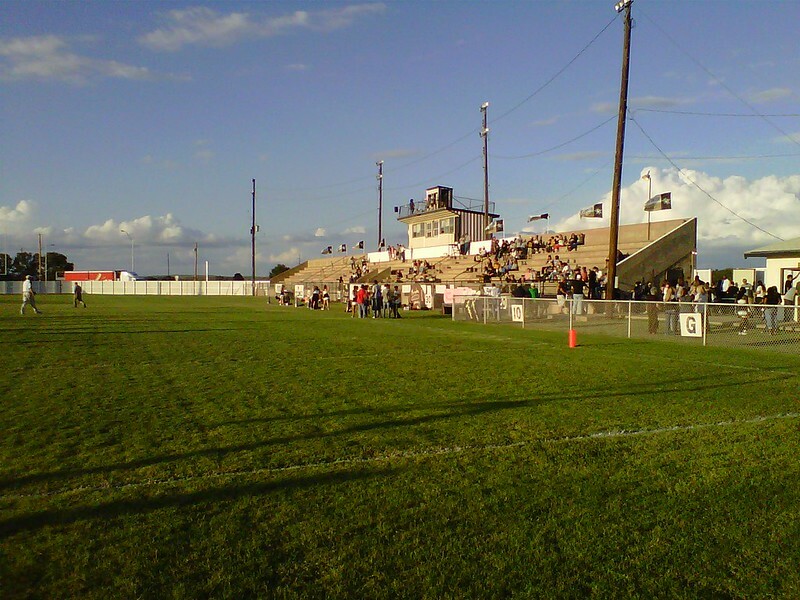 The game was an MSHSAA Class 6 First Round contest hosted by Blue Springs at their rather intimate Peve Stadium located just south of the high school. I had a pick of several games today, and none of them were particularly high impact matchups. 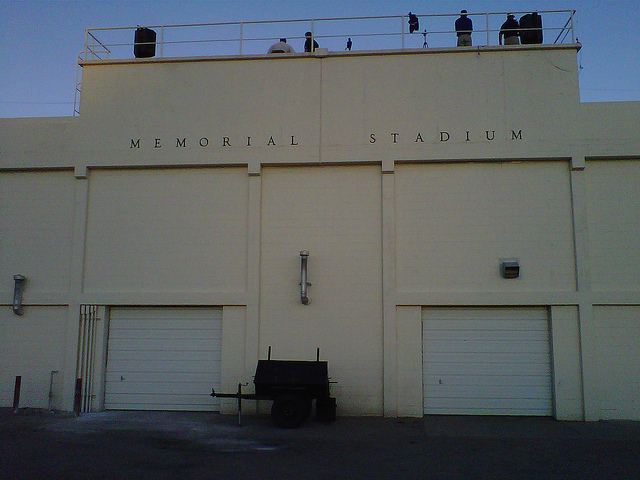 I decided on Meridian-Jim Hill due to the fact Meridian was a high powered team (#176 by Calpreps) on the verge of going 10-0 on the season. Jim Hill, on the other hand, is at the other end of the spectrum. Hailing from the capital, Jackson, they were 1-8 and not very competitive in general. Spending the week in California wasn’t what I had planned, but I made the most of it. Spent Tuesday visiting my sister in LA and celebrating her birthday. The rest of the week was a blur and I found myself in Mira Loma, California with no means of ready transportation. 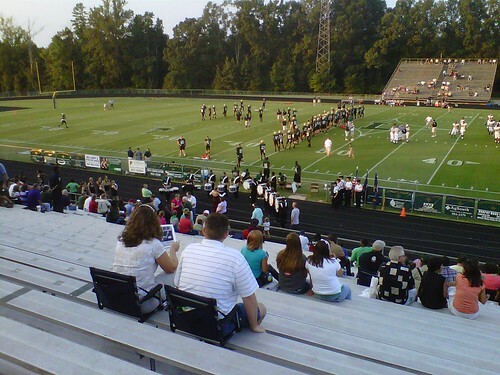 Luckily, there’s a high school stadium less than a mile away that I could walk to hosting a game tonight. 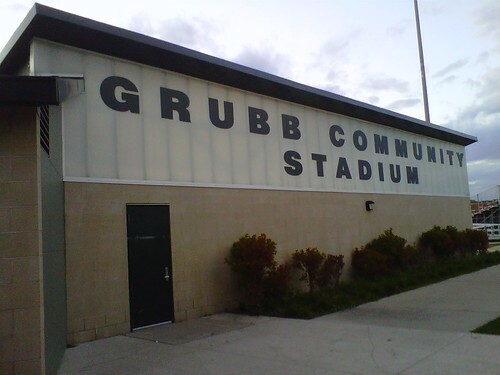 The Jurupa Valley Jaguars (1-5) of Mira Loma were hosting the Norte Vista Braves (3-3) of Riverside in a Sunkist League contest at their 2,500 seat stadium at the corner of Etiwanda and Bellgrade. 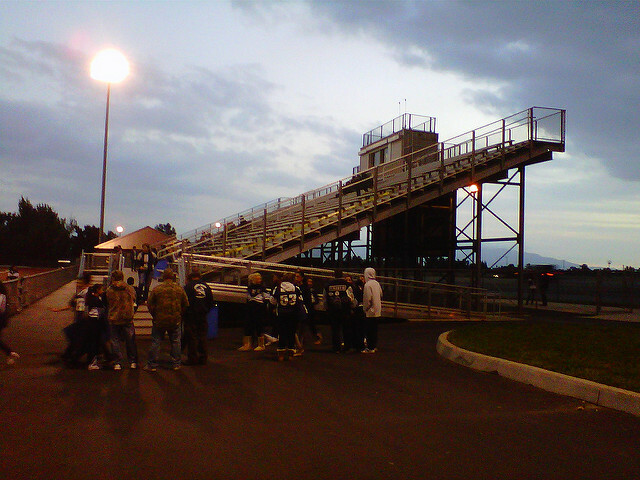 It sits as part of sport complex next to the high school. 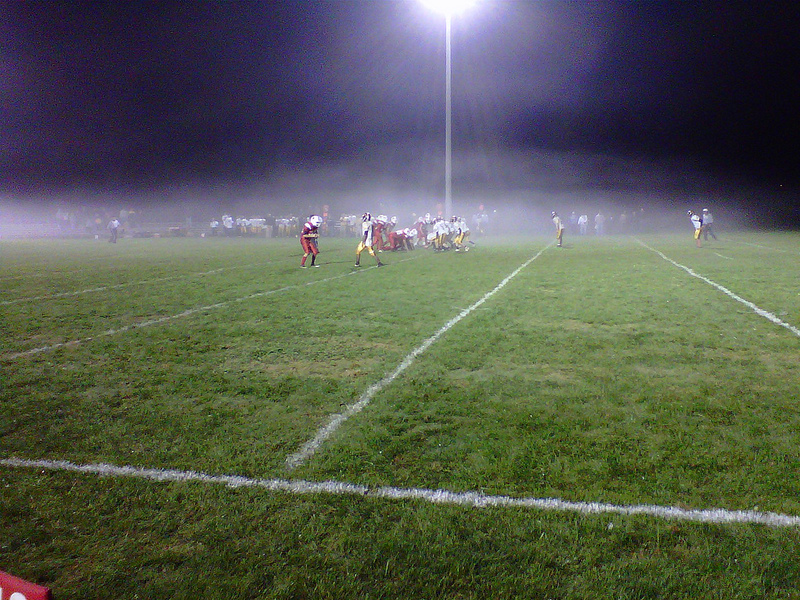 Natural grass field that has been beat to hell surrounded by an atmosphere killing track. Well, another week, another state. This time it’s the home of Arbor Day, Nebraska. I was home in Ohio this weekend for the Steubenville-Massillon game, but that didn’t stop me from seeing some other games. 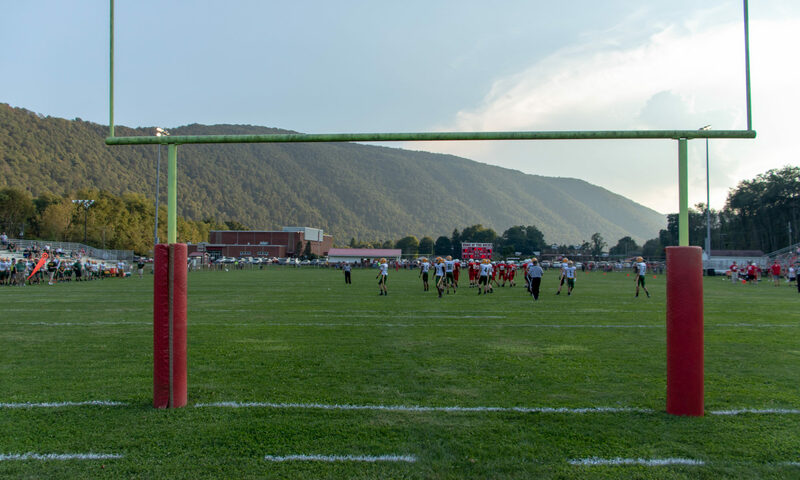 On Thursday night in Pennsylvania, Cochranton hosted Erie Iroquois. My little High School Odyssey continued tonight. New week, new state. This time I’m in Des Moines, Iowa. I had a couple of games to choose from, and none of them looked to be real good bets. North-Lincoln was the closest. I also could have went down to Drake Stadium to see Roosevelt-Hoover (and also could have caught their freshman game right before it), two teams that had one win between them. 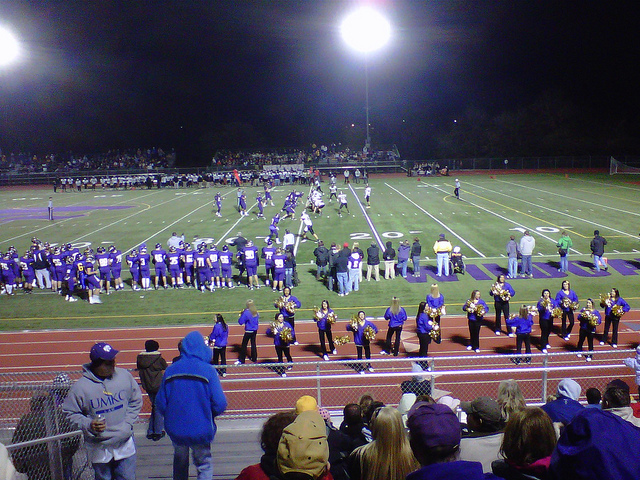 I could’ve gone up to Urbandale to watch them play Southeast Polk (hindsight is 20-20, as this was the best game). There was a few others. But, I chose Des Moines North hosting Des Moines Lincoln. The Polar Bears and Rail Splitters. My little football odyssey continues in Texas this weekend. I’ve seen this Cyclones Stadium several times in the past few years southeast of Amarillo and always said if I was in the area the day of a game, I’d check out a game. So, that day was today. The Memphis Cyclones are a 1A-D2 school in Texas, were state champions in 1991, and currently 0-4 going into today’s game against White Deer. 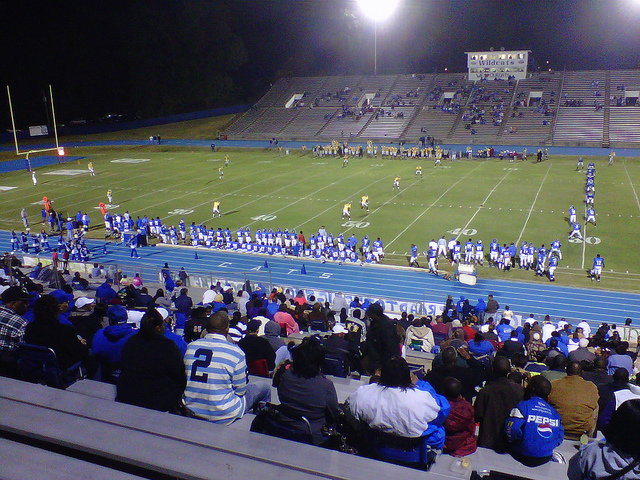 Being in South Carolina for the weekend, I went to the local high school game here in Laurens, SC.